You Fancy The Bruery So Happens It’s Tuesday! Black Tuesday, Oct. 29, was the fourth and last day of the stock market crash of 1929. Investors traded a record 16.4 million shares. They lost $14 billion on the New York Stock Exchange, worth $205 billion in 2019 dollars. During the four days of the crash, the Dow Jones Industrial Average dropped 25 percent and investors lost $30 billion. That was 10 times more than the 1929 federal budget. It was more than the United States spent on World War I. After the crash, stock prices continued to fall. They hit their 1929 bottom on Nov. 13. By then, more than $100 billion had disappeared from the American economy. Black Tuesday kicked-off the Great Depression. What followed was a complete loss of confidence in the U.S. financial system. The Dow didn’t regain its pre-crash high until Nov. 23, 1954. 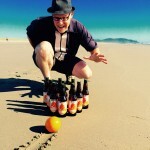 Today isn’t Black Tuesday, obviously, but rather it’s Fancy Pants Sunday — the day of the week when Peaks and Pints bottle shop, taproom and restaurant highlight a delicious, complex, and more often than not, expensive bottle of craft beer. 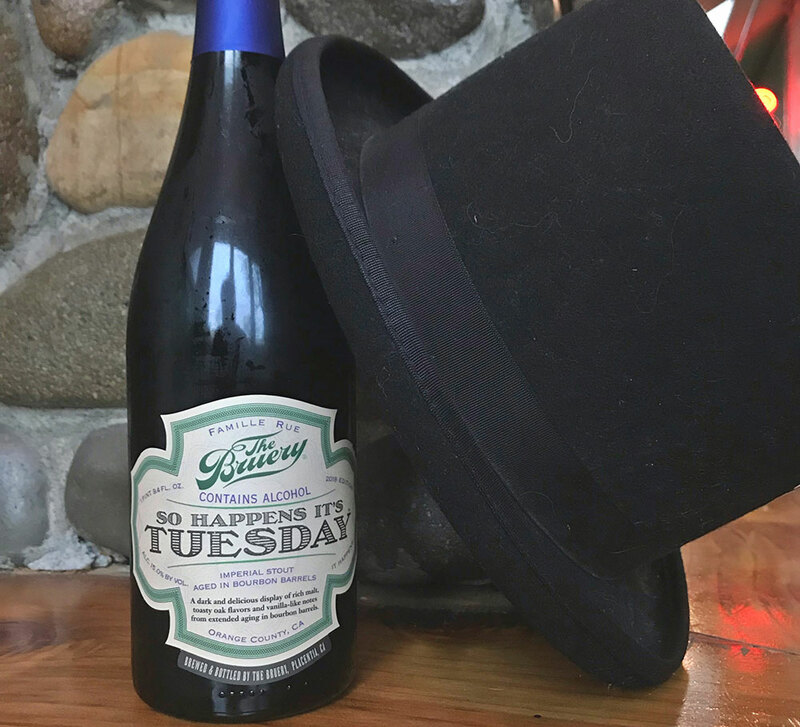 Today, we feature The Bruery’s So Happens It’s Tuesday, the little brother to the Placentia, California brewery’s momentous Black Tuesday Imperial Stout, named in honor of the great stock market crash of 1929. “So Happens It’s Tuesday is similarly dark and delicious, but in a more affable format, reminding us that there is always a bit of good to be found within the bad,” according to The Breury hype. Pouring silky black with a small tan head, this dark and delicious bourbon barrel-aged imperial stout is packed with dark roast malts that give a classical mocha coffee character with well-defined hints of plum and liquorice all enriched by sweet burnt sugar, a touch of vanilla, smoke, oak and, of course, bourbon. The tasting concludes with a beautifully judged bitterness. The 750ml bottle awaits every day of the week in our cooler. You fancy The Bruery So Happens It’s Tuesday.